The OEM OnePlus had previously announced that it would release a 5G phone this year. Today (February 11, 2019), the company has apparently released a confirmation that this device would feature at the Mobile World Congress (MWC) this year. It will showcase the device at Qualcomm's booth during the event. A new XDA report has claimed that OnePlus has sent out the word that its first 5G smartphone will be shown off at MWC this year. Participants at this event will apparently be able to experience gaming on a prototype of this phone at a booth run by Qualcomm during the conference. 5G will be facilitated by the chip-maker's new X50 modem, which is to be paired with the Snapdragon 855 (SD) processor. OnePlus' CEO, Pete Lau, had confirmed that his company would release at least one SD 855-powered device this year. On the other hand, it has also been reported that its 5G device and its conventional mid-year flagship, the 7, would be mutually exclusive products this year. 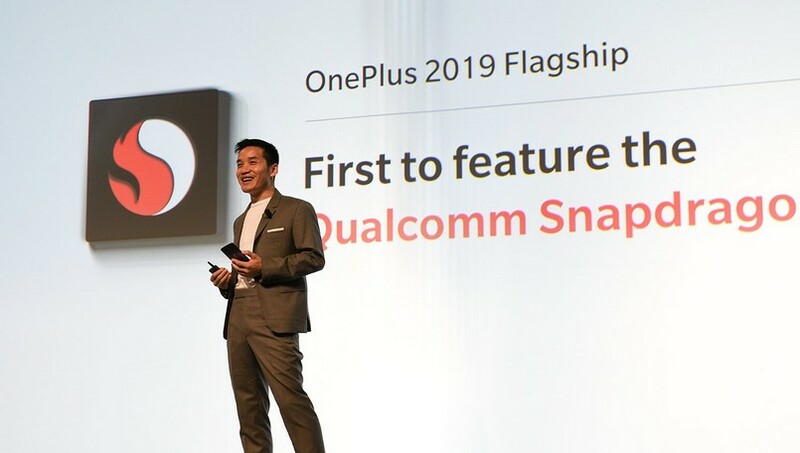 Therefore, a possibly one-off OnePlus phone will be featured at the Qualcomm MWC booth (to be located in Hall 3, Stand 3E10 at the Barcelona center) this year. OnePlus has also apparently stated that visitors to its demonstration may also have a chance to grab a limited-edition badge pin.